Each week I put together a group of stickers for the kids to choose from. These are the three for this week. Valentine stickers for kids who like them, and some goofy sneakers for kids who don't. I punch holes in three or four sticker sheets and make a sticker group. I used to use ribbon, but have now settled for rubber bands which are much easier to manage. Three sheets of stickers connected with a rubber band. Notice which kids can make a quick choice. If you find that Maya takes five minutes to decide between three stickers, next time just choose one for her. Kids like to see what their choices are for the week. Something about having them put together in a stack makes it more fun. Since I see each child only once a week, (except for groups where I don't usually use stickers) I only have to do this at the beginning of the week. Stacked neatly these little books take almost no space. 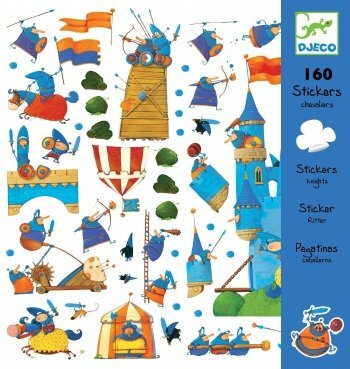 If I'm feeling too lazy to deal with sticker sheets, I rely on the Dover Little Sticker Books. Just a few of the Dover Little Sticker Books I have. One of the things I like about them is that they are neat and orderly. 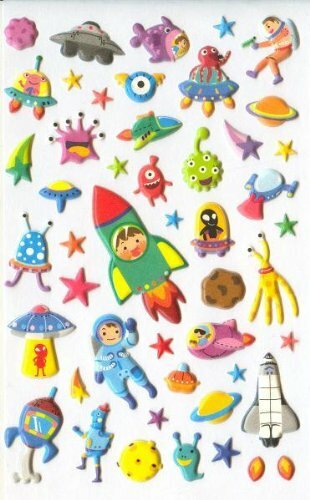 You can pull out a little sticker book and then put it back on a shelf or throw a rubber band around a few of them. You can pick three for the week and give the students their choice. If you're a traveling teacher, they are sturdy and can be transported easily. I keep a wide variety of stickers handy for "Therapeutic and Diagnostic" uses. These may be different than my "weekly" choices. You can read more about that here. PS You can also visit my Sticker Store.